The Rotary Club of Thane is a part of the Rotary International family, which has over 1.2 million members spread over 256 countries. 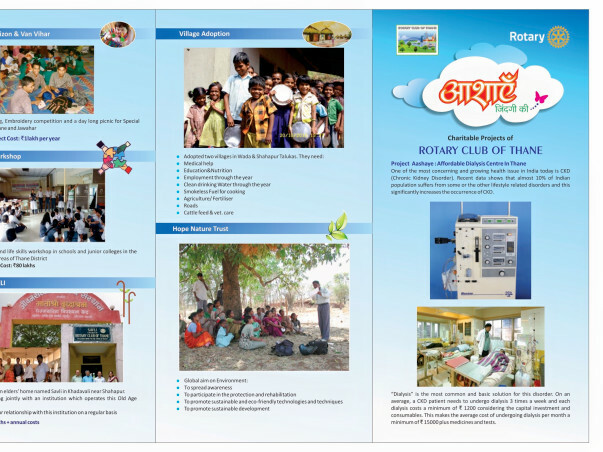 Our Club is the oldest Rotary Club in Thane. We are located in a city with population of 1.2 million surrounded by rural, agricultural and national forest areas around us. This gives us a golden opportunity to serve urban as well as rural population. During our rich history of 58 years, we have implemented a number of major projects, which have left a long-lasting impression on our community. These include adoption of Adivasi villages, adoption of schools for increasing their standard of teaching as well as infrastructural facilities, construction of check dams, regular and sustained provision of mid-day meals to pre-schoolers, military recruitment training for underprivileged youth, provision of dialysis at nominal cost to the deserving, blood donation drives, contests and picnics for the challenged children etc. One of the most concerning and growing health issue in India today is CKD (Chronic Kidney Disorder). This disease affects all strata of society including the economically less privileged. 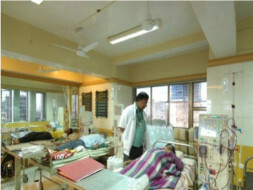 “Dialysis” is the most common and basic solution for this disorder. The only other solution is a kidney transplant, which is not only prohibitively expensive but also rare, due to the scarcity of donors. Dialysis offers a more “normal” life to the sufferers. On an average, a CKD patient needs to undergo dialysis 3 times a week and each dialysis costs a minimum of ₹1200 ($18.00) considering the capital investment, medical supervision and consumables. This takes the average cost of undergoing dialysis per month to over ₹ 15,000 ($225) plus medicines and tests. The costs are way beyond the reach of a normal earning Indian. 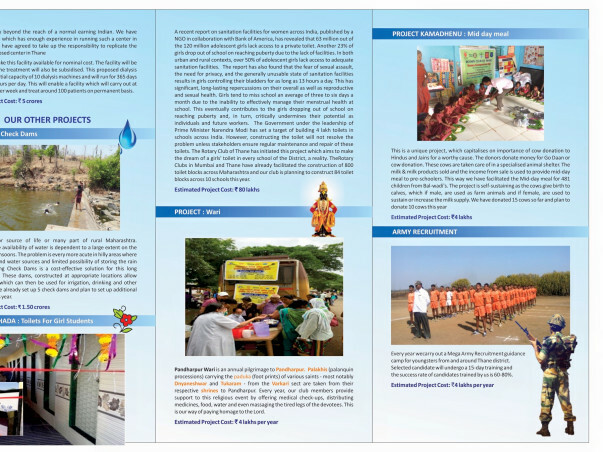 We have identified a non-profit organisation, which has enough experience in running such a centre in Mumbai. They have agreed to take up the responsibility of replicating their operating model at the proposed centre in Thane. We propose to set up this facility and make it available for a nominal amount to the economically less privileged. This proposed dialysis centre will have initial capacity of 10 dialysis machines and will run for 365 days a year for 12 hours a day. This will enable us to carry out at least 200 dialysis procedures per week and treat around 100 patients on permanent basis. The Estimated cost of this project is INR 5 crores ($750,000.00). Very happy to help your efforts in helping people.